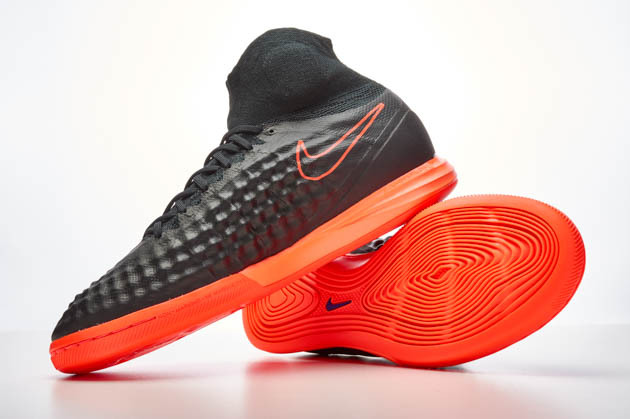 Welcome to the Nike Magista Proximo Street Indoor shoe. 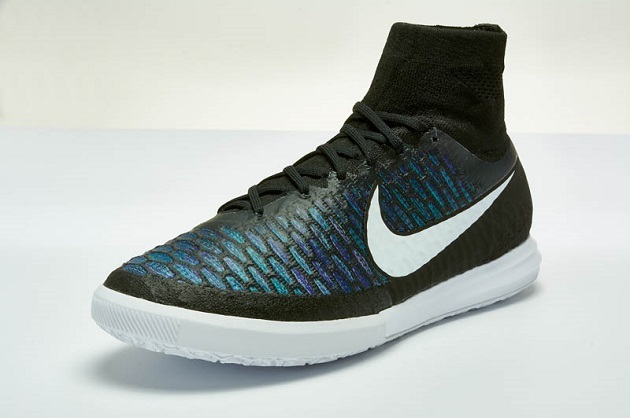 If you’re a fan of Nike boots, specifically the Magistas, you’ll love these. This was my first time in a Magista boot, but overall I was thoroughly impressed with what it offered. The “X” in the Proximo is an indication towards the 10 players on a team in five-a-side games. Whether this is Futsal or indoor, your game will be ready for the next level in these bad boys. As with most new Nike boots, you first notice the dynamic fit collar (more on that later). 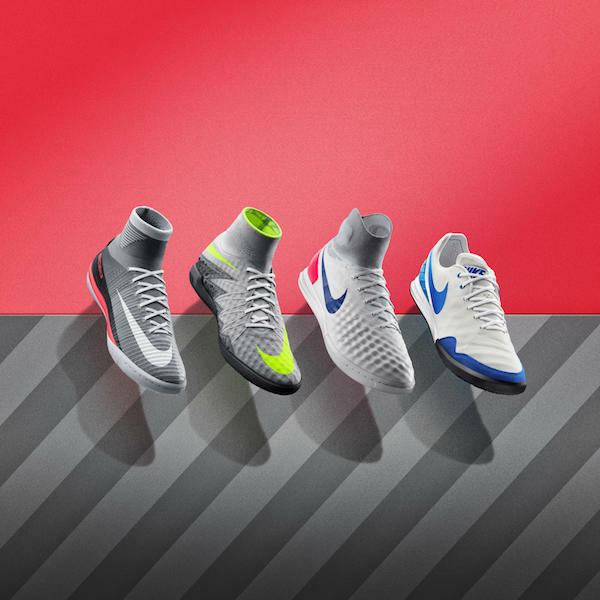 This is very prevalent with most Nike boots, in fact all 3 Proximo Indoor Court shoes have them (Hypervenom, Mercurial, and Magista). While typically a Mercurial user, I opted to try out the Magistas in this IC boot. From a design standpoint, these boots are slick. The all-black surface is perfect for turf or court surfaces as to hide the scuff marks that generally accompany that type of playing. The Nike graphic on the side is a stealth black geometric pattern that is reflective under the lights. 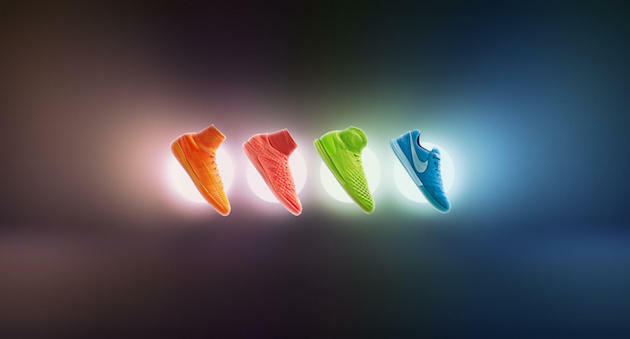 That flash is designed to mimic the flair that the Magista player plays with. 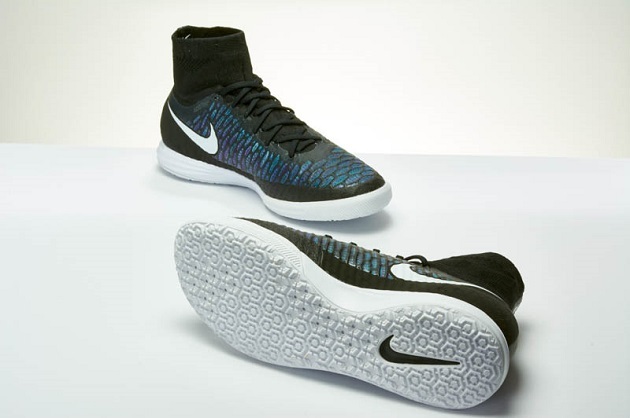 The base of the boot has the honeycomb Flyknit which offers micro-texture to the synthetic leather upper. This means that there are no enhancers on the inside of the striking surface, giving you the barefoot feel of a cleat shot. The synthetic leather is disrupted at the toe box of the boot. There is a color matched suede leather overlay which is designed for added durability. 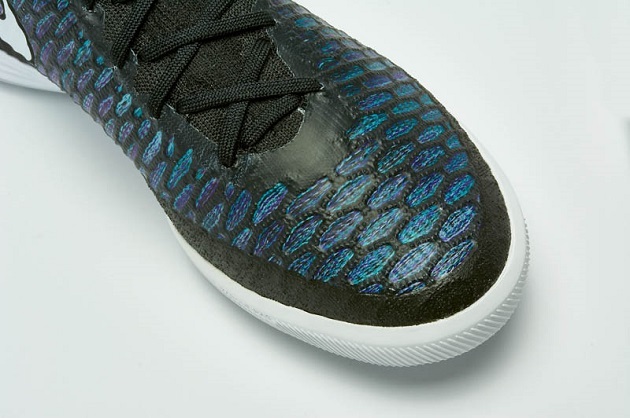 That, matched with the Flyknit, allows for a great surface to strike the ball with. With your first shot, you will be able to feel the ball connect on your foot. Whether you are striking with the instep, laces, or outside of your boot, you will get an honest and clean kicking surface. The laces are high and non-obtrusive on the boot. 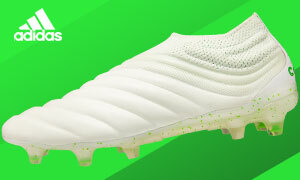 Unlike many boots, the lace configuration is meant to be minimalized to provide the best striking surface possible. 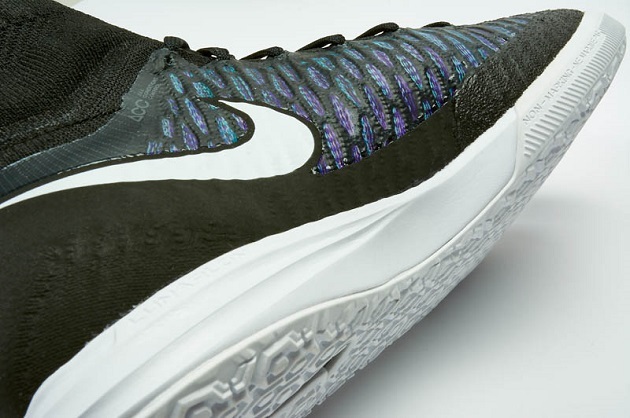 The midsole is made out of durable and responsive Lunarlon. A lighter option than Phylon is designed to offer lightweight, ultra-plush cushioning, springy response and support. When you plant, your weight will be evenly distributed across the midsole to reduce pressure on certain points on your foot. The bottom of the MagistaX Proximo is made of recycled Nike Grind rubber on high abrasion and drag areas for enhanced durability. The pattern on the bottom offers many points of contact with the hexagon design. With raised and lower areas at different angles you will have the perfect response to each push and change of direction.